How does it stand apart from the hoard? 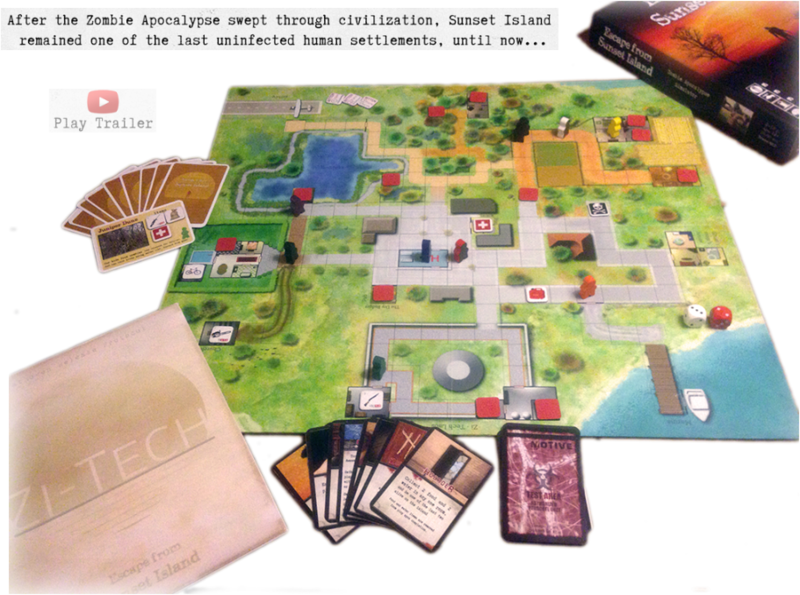 "​...the game goals and simple mechanics drive player behavior in a more organic way than, say, Dead of Winter"
​Indeed, the gameplay is quite open ended, making room for genuine motives and storylines to emerge rather than be prescribed. As one group calls it: "An automatic zombie-movie plot generator". Also, the setting is relatively pleasant, rather than a dark shadowy cityscape like most other games in the genre. 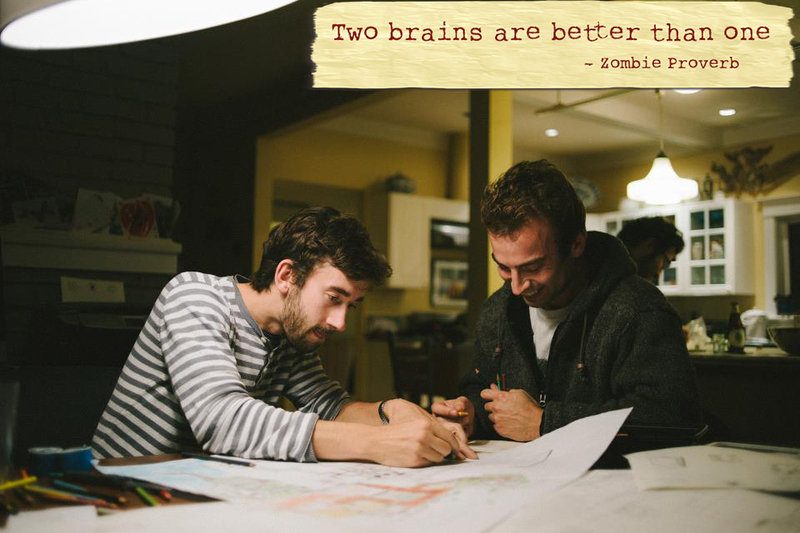 And it's not about killing zombies as much as other methods of survival. 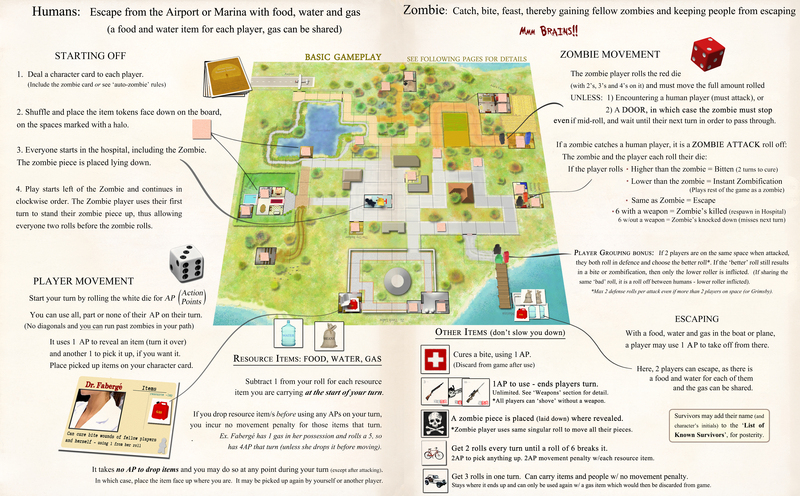 We realize there is no shortage of zombie games out there, so we wouldn't have thought about making and sharing this unless it was truly different, and a worthy addition to the genre and to the world of board games in general. Our favorite aspect of the game is how it brings out people's characters and a group's dynamics in interesting and revealing ways. ​Indeed, here, Zombies are the dark backing, like any mirror needs, for us to see ourselves better.